Product prices and availability are accurate as of 2019-04-25 14:21:47 EDT and are subject to change. Any price and availability information displayed on http://www.amazon.com/ at the time of purchase will apply to the purchase of this product. The RIDGID 4-1/2 in. 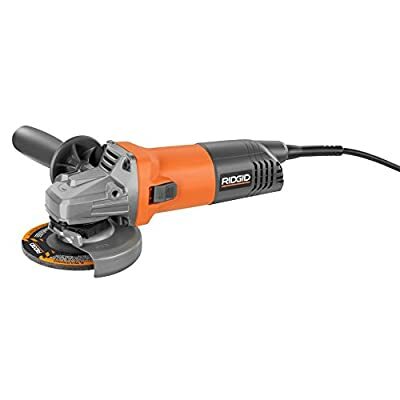 Angle Grinder has a durable 8-Amp motor to ensure longevity in the life of the tool and is durable enough to last as long as the job requires. With free registration, this tool is covered for life. FREE Parts. FREE Service. FOR Life. Includes: R1006 Grinder, Wheel Guard, Grinding Wheel, Side Handle, Flange, Clamp Nut, Spanner Wrench, Operator's Manual. See below for more details.